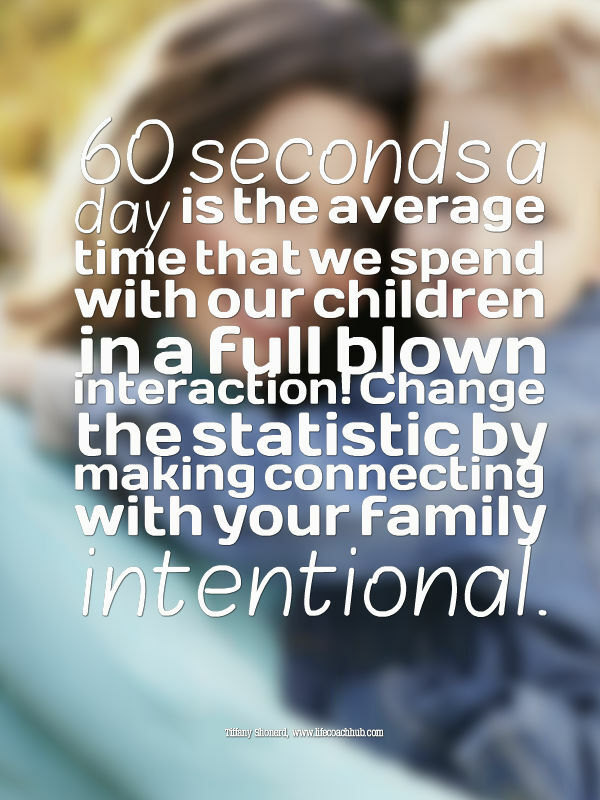 60 seconds a day is the average time that we spend with our children in a full blown interaction. Most mornings consist of running around and providing directives to our family members…”Get your back-pack”, “Did you eat your breakfast”, “I told you to brush your teeth”. We may kiss them good-bye before they enter school or daycare and make brief eye contact as our mind is racing about the mid-morning meeting. After the long day at work we get home and continue the directives with our family…”Did you do your homework”, “Why is the trash sitting by the door and not outside”, “Honey, did you drop off the clothes at the cleaners?" We then go on to make and eat dinner. This is generally the time that the 60 seconds of intentional interactions/connections are made. We make full eye contact and talk about our day. This is if we sit down as a family. Some families do not have this option every night due to activities. After dinner is the dreadful clean up, bath time and then bed time. Sometimes bedtime is another great use of intentionally connecting. Now you are lying in bed and thinking….Wow, glad the day is over, but I feel like I didn’t talk or see much of my family members…How can I make that different? Here is exactly what you can do to make that connection with your family more intentional for a better relationship. Dinner seems to be the hub of the family and is generally used for the connection time of the day. You can still use this time or choose a different, for instance while doing laundry together, etc. 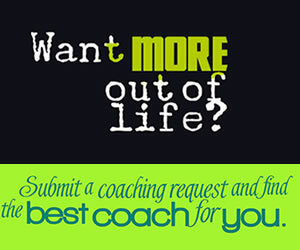 Decide on an intentional open ended question to start out the conversation if needed. EX: “Tell me two awesome things that happened today?” This question is open and precise. Remind yourself to make eye contact, positive body language and use a soft tone. Remember to keep your arms open, eyes connected and do not judge what the family member is saying. Let them lead the conversation once they have a hold of it. This will extend the conversation and connection longer. Remember to keep the directives for a different time of the day. These steps are easy, but do need to be intentional. 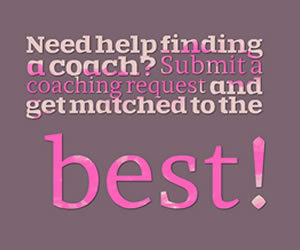 Parent and Family Life coaching is one way to keep you boosted on these goals. Good Luck ….You can do it!